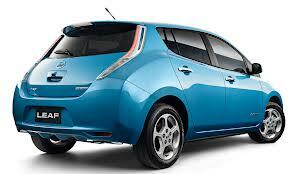 You are at:Home»Driving and Traffic»Electric cars – where’s the spark? Electric cars – where’s the spark? However, some 16 years after Toyota backed the future with their game-changing hybrid, the Prius, electric driving has been a little less high voltage than many would have predicted. So what’s gone wrong? Why aren’t UK drivers queuing up to drive hybrids? Why aren’t all our friends electric? The world’s first mass-produced hybrid was going to put an end to fossil-fuelled driving. Petrol stations nation-wide would be left desolate and unkempt like some post-apocalyptic Peterborough. However, things haven’t really transpired, or expired, in the way any of us expected. Even the greenest advocate of the electric driving movement would twitch at suggestions that hybrids have been a success. Despite failing natural resources, rising petrol prices and an ever-more compelling environmental argument, electric driving has made limited in-roads into the dominance of the internal combustion engine. Depending on who you listen to, hybrids constitute around 1% of the cars on UK roads. Of those 30 million cars, the number of fully battery-powered vehicles is thought to be barely above four figures; to meet the UK’s 2020 carbon targets, that figure needs to exceed 1.7 million! BMW 5 Series ActiveHybrid; Chevrolet Volt; Citroen DS5; Honda Civic IMA, Insight, CR-Z hybrid, Jazz hybrid; Lexus CT 200h, GS 450h, LS 600h, RX 400h, RX 450h; Mercedes E300 BlueTEC Hybrid; Peugeot 3008 HYbrid4, 508 HYbrid4; Porsche Cayenne S Hybrid; Toyota Auris HSD, Yaris Hybrid, Priusm, Prius+, Plug-in Hybrid; Vauxhall Ampera and Volkswagen Touraeg. While the UK government subsidises the purchase of emission-free electric cars to the tune of £5,000, forecourt prices for hybrids remains preventively high (a new Nissan Leaf will cost you around £24,000). The batteries are the most expensive component, priced at around £10,000. Charging points are comparatively few and far between and, despite the fact that most people on most days do a journey within the range of an electric car, anxiety on the range of electric vehicles remains. However, promoting and realising a culture movement of electric driving is possible. Norway’s network of charging points has been a key component of making Nissan’s Leaf the nation’s 13th most popular car. How? In Norway there is no import or VAT tax (25% in Norway). The Norwegian govt. exempts electric cars from taxes, parking and tolls. The result? In its first two years, the Nissan Leaf sold over 3,361 units making it the first hybrid to be a top ten most popular in any country around the world. The car still costs over £30,000, the same price as a 1.4 VW Golf. When you consider that filling up VW’s reliable run-around is the best part of £60, playing the long-game makes some sense – plus Norway’s five million drivers can access over 3,500 (free) charging stations and are allowed to use bus lanes. An evolved infrastructure is crucial to success. Here in the UK, there is still hope. The government is set to invest £37m in a range of new charging points across the country, some 75% of the total needed to improve the network. There is some appetite for electric driving and it is hope that will develop. Micro-Hybrid Drive Switches off the engine when the car is stationary. Parallel Hybrids Wheels are powered by the engine, by the battery-powered electric motor, or a combination of the two. Series Hybrids Combustion engine generates electricity and powers an electric motor which powers the wheels. Mild/Full hybrids Mild hybrids power the electric motor to reduce load. Full hybrids power the wheels in electric mode. Plug-in hybrid electric vehicles (PHEVs) The car’s larger battery can be recharged from an external electricity source. Petrol engines are only used when faster acceleration is required. Plug-in hybrids revert to the petrol engine when the battery is nearly discharged. Diesel hybrids This is pretty obvious, no? Range-extended electric vehicles (REEVs) Range-extended vehicles use stored energy in the on-board battery first until it is depleted rather than switching between electric and combustion engine. Is cost still a ‘green’ barrier? I think one of the biggest reasons why people don’t buy the hybrid car is price, the electric model seems £5000 plus extra, and i also think people are wising up to government, the problem is the goal posts keep changing on emissions ect, as the government hide behind and use green label to tax and we all know they don’t give a stuff.